Lots of news today (check-in below the WIPpet). The best? After I’d finally set up the main route for my trip to the UK later this Spring, I got in touch with some former WIPpeteers (and a few ROWers too)… and there are visits happening! While we don’t get to see their works in progress anymore, we’ve stayed in touch on Facebook (and the Boodle has been avidly reading Kate Frost’s Time Shifters a second time in anticipation of going to some of the locations in the story). It’ll be fun to go back to Warwick. 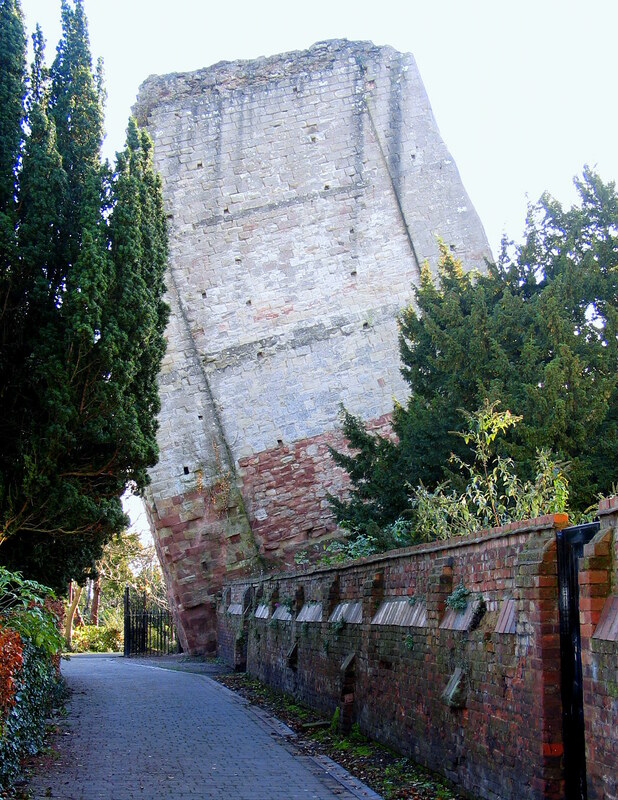 Though I think of the castles I saw in England, Kenilworth or Dover were my favorites. Or maybe…. Alanii noticed as much what the man had not said as what he had. Without betraying the Hastor secret, Ytramli had betrayed it fully. He joined Valmara in giving the man a glower. Lan shored Ytramli’s point in returning it. Alanii broke off at the sound of a collapse, followed by a cry of “Siera!” from down the hall. He knew by the sounds, the clatter of keys and the near silent step, that it involved Valistii, but friendship or not, he knew better than go to his friend’s aid. As host, Valmara could act, but since the Hastor Heir was still considering his drink, Alanii couldn’t even justify sending Lan or Ytramli to check on his officer. He shared a momentary look of concern with his cousin and Lan, then after another taste of his pipe, took back the lighter from the table and re-lit it. Down the hall, he heard Valistii getting help of some kind. He’d know what kind soon enough. It was enough to know that the man felt he needed help. And that’s about it. Why don’t you head on over to the WIPpet linky and visit some our other awesome members. Thanks to Emily Witt for graciously hosting our little bloghop. I know exactly what work she does to keep us going, and it’s definitely appreciated. Again, not much writing being done. The serious work on my plate keeps getting bumped in the simple need to wind down after a bunch of classwork and general ‘keep functioning’ chores and errands. Not to mention lots of snow to shovel and shifting sleep schedules (in hopes of saving some of the jetlag I know will occur when we cross The Pond), I’ve been beat and feeling decidedly uncreative of late. Ideas are simmering however. Because of the research involved in my classes and the incredible discussions that I’ve had with some of my classmates in our study group (the Adventurous Teals, a name that just tickles my fancy, since teal is my favorite color), a more and more complete image of the world in my stories is developing. I had (or, at least, like to think I had) a decent grasp on my main characters for the last few years, but now I’m seeing how the supporting characters fit into the world, how the secondary characters got to the places they did, and how the world could have evolved into the society it did. As for the rest of my goals, the only one I’ve maintained any progress on (well, except the England trip plans) is maintaining the ROW80 website. I’m finding more and more places that need tweaking there. Kait was definitely thorough when she planned her conversion to the ROW80 becoming a Facebook only group. That it didn’t exactly work that way isn’t so much of a hassle as a bit of a regret. I wish I’d spoken up sooner about taking over the website maintenance. I like being part of the challenge (though I was never much good at sponsor posts), and this is one area where I actually feel capable of doing stuff. Lastly, though I didn’t post a check-in on Sunday from the Garden of Delights, I did start setting some things in motion there to merge these two blogs into one. In fact, I wrote a post… or rather a page. It’s not posted yet, since I’m still working out logistics, but it’s a step forward. I’ve been taking a class via FutureLearn on the Archaeology of Portus (a major (man-made!) port on the west coast of Italy during the 1st-6th centuries AD). 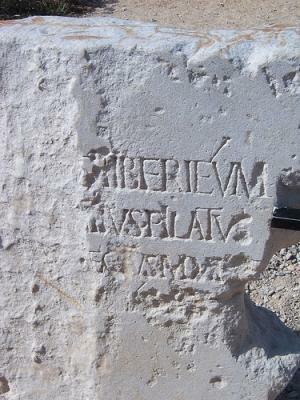 Yesterday, one of the lessons suggested we try to translate a Roman inscription from the Trajanic Period of the port. Of course, the rest of my personal progress is a bit less inspiring. Of my ROW80 goals, I’ve done very little. I’m even falling behind again on my critique group work. As much as I love FutureLearn, I’ve found I cannot take one of their classes without exploring the topics deeply, spending several more hours a week on each class than the anticipated timeframe. I did get a small bit of writing done in the UnNamed Story. This means I have something to post for WIPpet Wednesday! Amused? Bemused? Want more? Head over to the WIPpet linky and visit some our other awesome members. Merci, merci, Emily Witt, for graciously hosting the WIPpet. 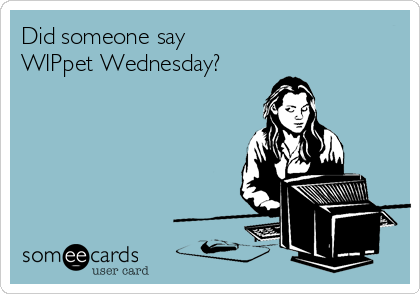 Given these past two weeks, I have to confess, I don’t know what to say for this WIPpet Wednesday/ROW80 check-in post. I mean, I guess I have something to post since I did “some” writing this week (and being the 1st, I don’t need to post much), but it’s been a very distracting week. I even missed my Sunday check-in at The Garden of Delights. I was out a computer due to a stress-induced click when lag and bother (and being overtired) got to me and I welcomed in some nasty ransomware. Though it did mess up my old computer some, I was lucky that most of my personal files (I did lose one picture) were not corrupted. So that, plus the huge distraction of plotting travel routes and hotels for the upcoming trip to England… not to mention all the wild crazies in the world of politics and some Boodle-things with his school, meant I got very little done on my ROW80 goals. I don’t even need to use the checklist. We can leave it as… Try Again Next Week. And for the WIPpet… an easy one, after all. When I am distracted, I write in my Unnamed Story and just blather into the page. Here’s one paragraph, with minor edits for readability from that WIP. It follows just a few paragraphs down from last week’s entry. Just a short one today. If you’re interested in participating in either the ROW80 or the WIPpet, head over to our linkies and join in: the ROW80 and the WIPpet. And thank you all for continuing to make these challenges fun.